Whatever you want or need is close at hand when living at Hillsborough. Situated here at the top of Yonge Street, you’re surrounded by parks, nature reserves and conservation areas. 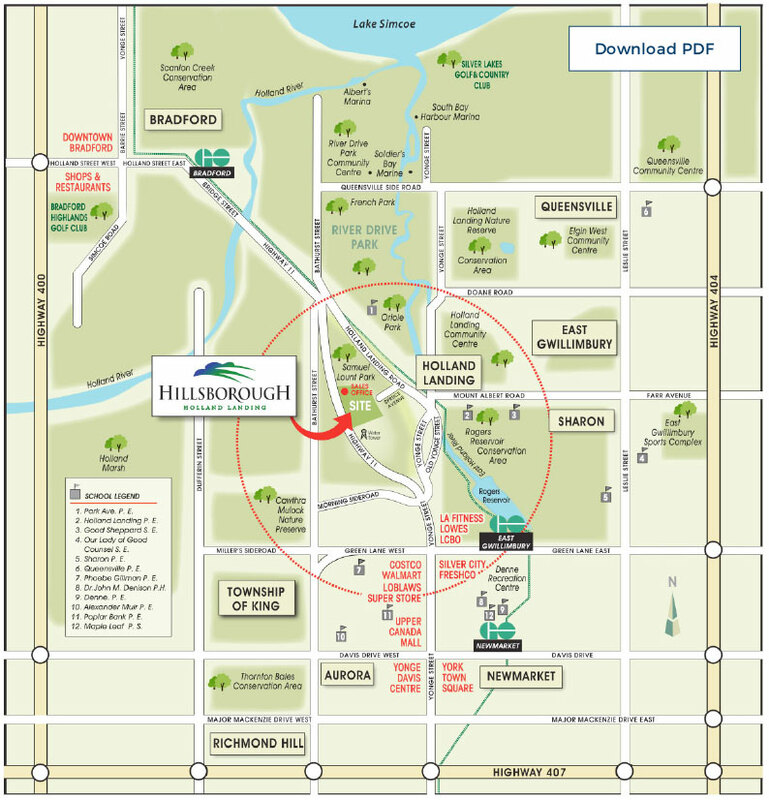 Restaurants, the public library, community and recreation centres, golf courses – all are conveniently close. Enjoy shopping at Upper Canada Mall and the big box stores on Green Lane West. Head north to Lake Simcoe, just a short drive. You’ve got easy access to the new 404 extension, as well as the East Gwillimbury GO Station with direct connections to downtown Toronto.